Originally airing on December 3, 1968, the '68 Comeback Special concert was Elvis Presley’s first live television performance in seven years, which captured him playing with a full band in front of an intimate audience of diehard fans. 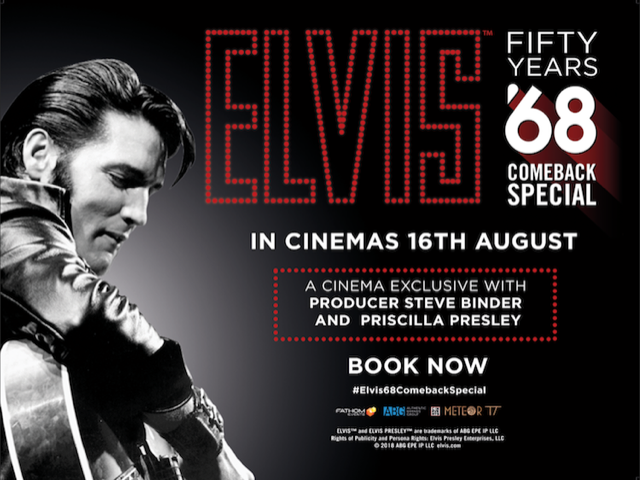 As part of the special, Presley also pioneered the Unplugged performance style with an exclusive acoustic set. This was the gig that marked Presley’s return to live performance and re-launched his singing career as the soundtrack album went Top 10 following the special airing, shooting Presley back to the top of the singles charts months later with In the Ghetto and later in 1969, his first number one hit in seven years with Suspicious Minds. In celebration of the 50th anniversary of this legendary special, there will also be a new book by Steve Binder titled COMEBACK: The Making of the 1968 Elvis Special delves into the dynamic (and often intimate) performances by The King of Rock & Roll during the landmark “Comeback” NBC broadcast. The book features a dedication by Priscilla Presley and stunning catalogue of iconic Elvis Presley imagery.